The launch of the new integrated British Pharmacopoeia website this week presents a great opportunity to explore this other group within the Inspection, Enforcement & Standards Division of MHRA. 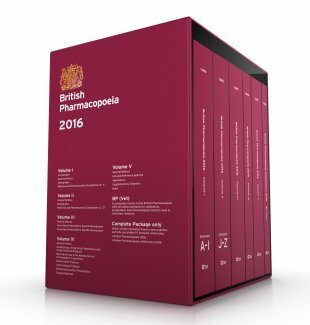 The British Pharmacopoeia (BP) makes an important contribution to the role of MHRA in protecting public health by providing authoritative quality standards for UK pharmaceutical substances and medicinal products. Celebrating its 150th anniversary last year, the British Pharmacopoeia & Laboratory Services group has been establishing standards since 1864 and continues to play an important role in the standard-setting process worldwide. Now used in over 100 countries, the BP remains an essential reference for all individuals and organisations working within pharmaceutical research and development, manufacture and testing around the globe. 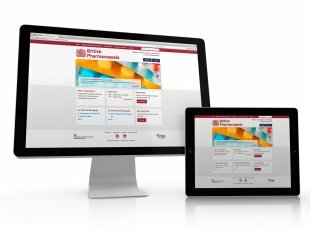 Just this week the new website has been launched bringing together the online BP publication, the British Pharmacopoeia Chemical Reference Substances (BPCRS) catalogue and sales making it easier for users to find what they need quickly and easily. As it is smartphone and tablet compatible the new site is easier to use whether you are in the office, at the lab bench or on the go. BP, BP (Vet), European Pharmacopoeia (Ph. Eur.) and updated Ph. Eur. texts are highlighted with different colours so that it is easy to see the source of the text and whether it has been updated through the Ph. Eur. in-year supplements. New improved functionality means that users can easily add BPCRS to their shopping carts or view draft and revised monographs or example test results related to a monograph by simply switching tabs. There is also a new timeline feature allowing users to quickly jump between different publications and updates of a monograph or text. The BP includes the texts of the Ph. Eur. and so incorporates the 2 pharmacopoeias that have legal status within the UK. New editions of the BP are published in August, ahead of the legally effective date of 1 January the following year and the online BP is updated 3 times a year to include the Ph. Eur. supplements. The BP is brought into effect by the Human Medicines Regulations 2012. The BP contains almost 4000 monographs for substances, preparations and articles used in medical practice, and consists of general notices which contain information applicable to all texts in the publication, general monographs which are requirements expected of dosage forms and then specific monographs covering active pharmaceutical ingredients (APIs), excipients, licensed and unlicensed formulated preparations, herbal drugs and products, blood-related products, immunological products, radiopharmaceutical preparations. The BP also includes infrared reference spectra in support of identification tests, appendices and supplementary chapters which provide additional guidance. In using the BP it is important to read the general notices, general monographs, appendices and supplementary chapters in conjunction with the specific monographs, as these are not designed to be used in isolation. As the BP website evolves, so does its approach to developing standards to reflect the changing nature of the pharmaceutical landscape and the increasing importance of biologicals and innovative medicines. Looking forward, the BP will continue to investigate areas for improvement and to apply advances in technology which ensures the publication remains current and relevant. We will be publishing a blog next month about the wider work within the Inspection, Enforcement & Standards Division covering the Defective Medicines Report Centre (DMRC).